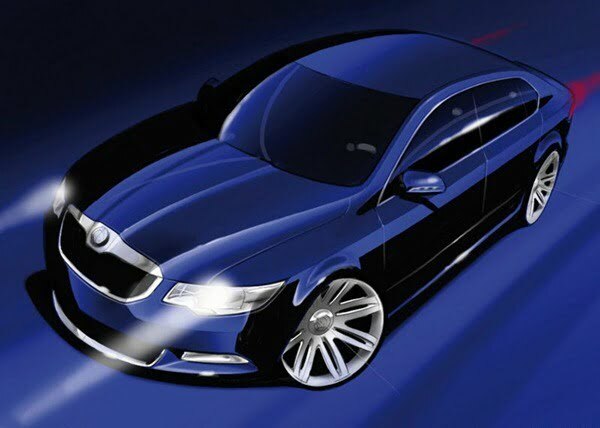 2013 Skoda Superb Rendered– What Is New? Skoda graphs in term of market share and satisfied costumers have increased drastically in the last few years in India. Skoda has now become a well known car manufacturer in the Indian automobile market and all that is made possible will some very potential offerings. Volkswagen owned Czech Republic company has some very aggressive plans to introduce new products in the Indian market, hold on as this doesn’t lead to a conclusion that current variants will be not be given any importance. Recently news was about the 2013 Skoda Superb spied in China and now the 2013 Skoda superb has been rendered. Skoda introduced the Superb back in 2009 in India and will no time it became the market king. The Limo had the potential to take the market, with some ground breaking technology and aggressive price Skoda was feeling superb about the “Superb”. Skoda Superb has been in India for long and is need to undergo some changes like the sibling Volkswagen Passat. The 2013 Superb looks more planted, more elegant and Skoda as done a lot of work on the exteriors. The overall stance remains unchanged the car is still a king size limo. The company has enhanced the detailing of the car like the hand lamps are now shaper, aggressive and compliments the grill more. But it’s the tail amps that has undergone major change, Skoda has given a new set of tail amps to Superb which looks more appealing and sportier. The boot has got a hand too with a new repositioned number plate. All this changes has created more curiosity about the car and will these changes will surely attract more buyers. Skoda Superb has created a new benchmark to the D segment cars in the Indian automobile market and the car has always received great response by Indian Costumers. The engine powering the Skoda Superb has been trusted and delightful to drive and expect the same 2.0 litre diesel and 1.8 litre petrol producing 118ps and 103ps respectively to power the 2013 variant. We also expect that interiors will get changes too and Skoda to shower its magic like the sibling Passat. In Indian Skoda Superb faces heat with the Honda Accord and Volkswagen Passat. Honda has also listed it Accord for a facelift and most probably a diesel offering and Volkswagen reintroduced the Passat in 2012 only. We will keep you posted on any updates related to the Superb, stay tuned to Car Blog India.